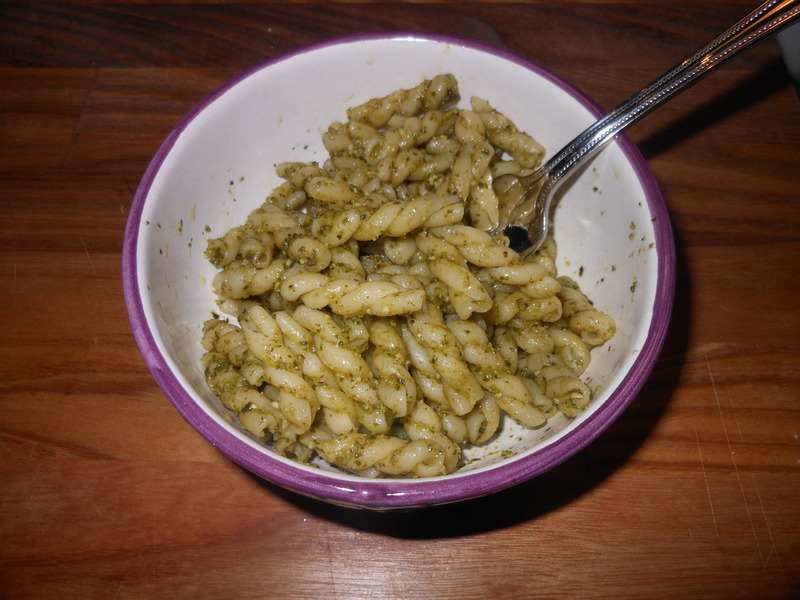 I originally posted this recipe for Pesto last May. (under Yummy Pesto 05/28/11) It is my friend Susan’s recipe which I have happily added to my summer repertoire. Yesterday, I went food shopping and bought all the ingredients for the Pesto when I realized that I forgot to buy pignolli nuts. So after scouring the pantry, I decided to try it with walnuts! It was perfect. So just a little note on this delicious recipe, I wouldn’t leave out the nuts because you would lose that nutty flavor which I love so much. It didn’t really change the flavor all that much and it was just as perfect as ever. So grab some of that beautiful basil growing all over now and make this easy , perfect pesto. Using my frozen pesto I marinated some thin chicken breasts and grilled them. They were awesome. served last night with fresh tomato pasta. You don’t only have to use pesto with pasta. It’s also delicious as a spread . This entry was posted in pasta and tagged Perfect Pesto for Summer, Pesto Sauce, Yummy Pesto for Summer. Bookmark the permalink.